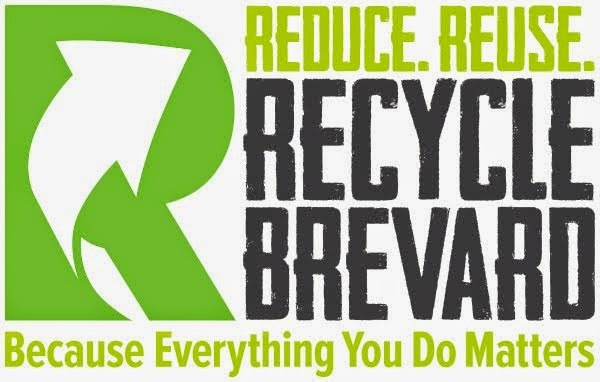 Recycle Brevard, in partnership with Shining Starr Learning Academy, is putting together a new show in the community: the first Waste Me Not Recycled Gift Show. The show, aimed at Brevard County K-12 students, has the goal of combining awareness and service, recycling and giving. Students participating in the show will make a project from gently-used and recycled materials -- like cans, fabric, bottles, buttons, ribbons, cardboard, and so on -- to create a gift to be donated to a retirement home of their choice. With the theme A Valentine Friendship Gift, we would like to involve children from K-12 Brevard County schools and invite them to use their creativity and enjoy the gift of giving. Participation is FREE but registration is necessary. To participate, start by reviewing the Submission Guidelines and filling out the Registration Form. The show will be on Friday, January 20, 2017 from 4:30-6:30pm at Shining Starr Learning Academy in Rockledge. The 2017 Waste Me Not Recycled Gift Show, A Valentine Friendship Gift is also open to local vendors that would like to sell and promote their business to local families. Remember to stay connected to Waste Me Not Projects on Facebook to learn more about this and future projects. Unfortunately we will not to be going ahead with the event this year. Our registration is not at the level we needed and the deadline is really close, so we are cancelling this year's Recycled Art Show. We will be reevaluating the event to decide on our next steps. We thank The Avenue Viera, Brevard Public Schools, Viera Voice, Hometown News, our business partners, and the community for your support. We also would like to thank our volunteers for their support and hard work in getting things done in preparation for the show. Thank you and we hope we can still count on you to take part in our future projects.